It's time for another Compendium of Curiosities 3 challenge! This time the technique is Frayed Fabric as shown on page 66 of A Compendium of Curiosities, Vol.3 by Tim Holtz. You can play along too at the Studio L3 blog and see all the inspiring projects the Curiosity Crew made. Thanks also to Inspiration Emporium for sponsoring this challenge and offering a $50 prize to spend at the store! My project is also going to be a Valentine for my hubby. (Might as well get ahead on things! ;-) ) I altered my last hoarded packaging piece from an old AOL mailer. You can see the other ones I did HERE and HERE. I wanted lots of color and texture in the inside. I started out using Texture Paste and the Hearts stencil to lay down the first layer. After it was dry, I spritzed it with Spray Distress Stain and let that dry. I then applied Prima's Art Extravagance Clear Crackle Texture Paste in places over the top of the first layer. It did react a bit with the underlying stain because it is water based but I liked the look. When that was dry I added more color with Distress Paint, misting it well so it would blend and run into the nooks and crannies. It's fun to get messy! 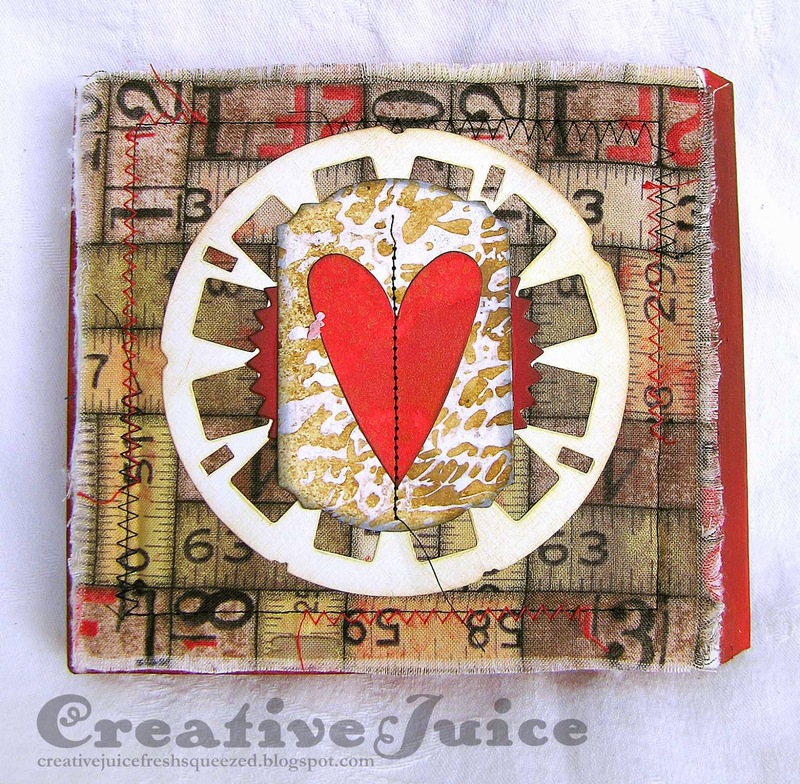 I am also entering this in the Mixed Media Monthly Challenge "New to You". I tried a new technique (the Frayed Fabric), used a new die set I got for Christmas (Thinlits Labels), and the Art Extravagance Texture Paste is new to me (more experimentation forthcoming!) Be sure to check out their challenges – they are always lots of fun! Tim Holtz Fabric Eclectic Elements - Melange Fabrick Crafting Pack 6"
Lisa, this is wonderful. Love it! This is so fun....love the way you repurpose! A girl after my own heart! Great job...thanks for joining us at CC3C! What a creative upcycle, Lisa! It's beautiful inside and out. Thanks for joining us at CC3C! That's an awesome Valentine!!! Love how you used a mailer. The colors and texture are amazing. Thanks for joining us at The Mixed Media Monthly Challenge. Wow! What a Valentine!!! Love the cover and surprise inside! Awesome! Thanks so much for sewing along with us at CC3!!! What a cutie! 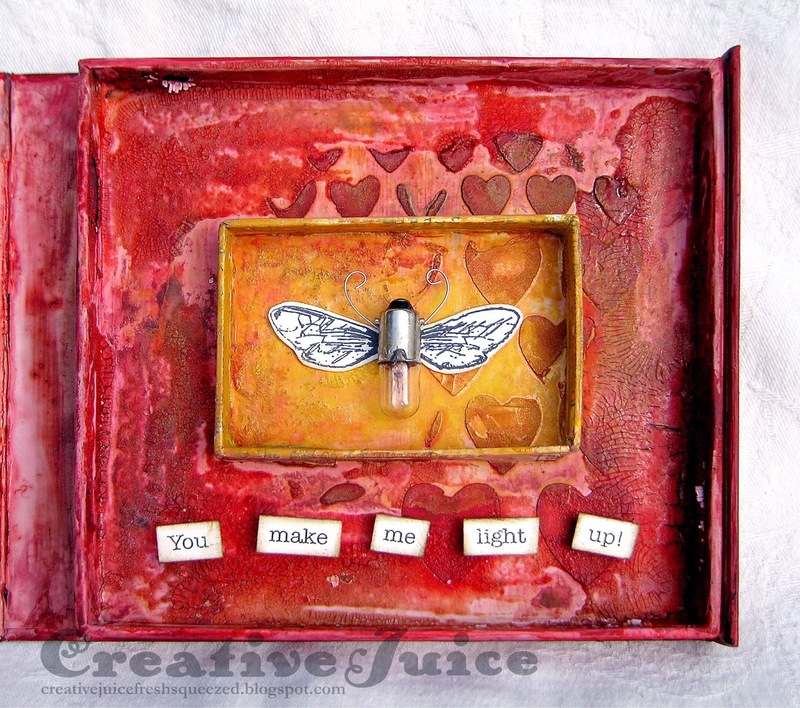 Love that light bulb as the body for your butterfly and, of course, a recycled mailer is brilliant. Thanks for taking the CC3C ride with us!! this is such a great idea and turned out gorgeous! i have so many mailer boxes... maybe ill have to give this a try! Thank you so much for playing with the Mixed Media Monthly Challenge! Love how you altered the mailer box. The use of fabric really adds lots of texture! Great project!! 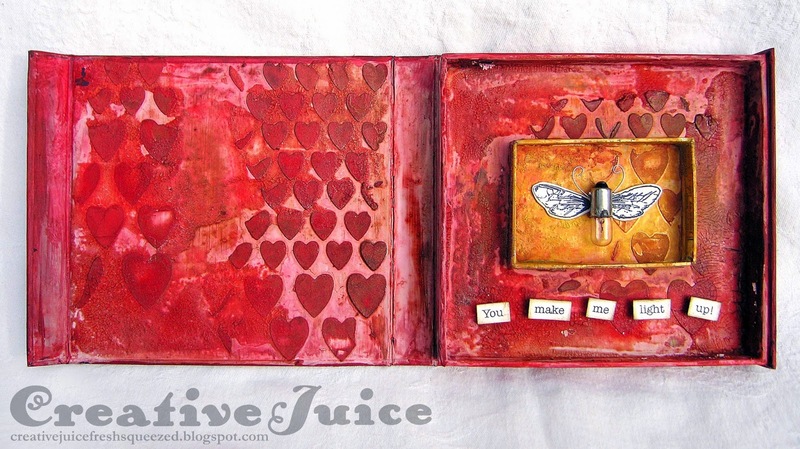 Thanks for joining us in this month's Mixed Media Monthly Challenge! This is beautiful. Thanks for joining the Mixed Media Monthly Challenge!